The IDTech Shuttle mobile card reader offers easy reads and a unique design, ideal for taking payment on the go. 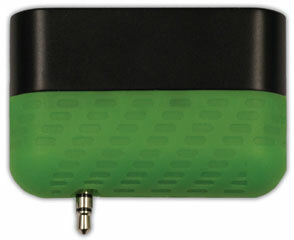 The two-track card reader connects via headphone jack, promoting compatibility with a wide variety of mobile devices, including those running Android, iOS, and BlackBerry OS´s. The Shuttle features a unique design, allowing it to connect securely to mobile devices without needing a clip to hold it steady. Supporting TDES and AES encryption, the Shuttle is a smart choice for maximizing security when taking mobile payment. Dimensions (W x D x H): 2.22" x 0.67" x 1.50"